This is not a review. 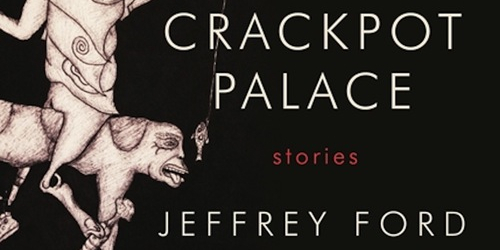 Jeffrey Ford’s CRACKPOT PALACE (William Morrow, 2012) is a prime example of what I like to call a “showcase collection”. Some writers assemble their collections so all the stories are of a piece. This could be by design before the tales are written, or carefully selected afterward from a larger crop. In both cases, the goal to evoke a certain feeling or message from the sum of the parts. This does not seem to be what Ford has done with CRACKPOT PALACE. Instead, the book’s raison d’être is to showcase the wide range of stories that Ford writes. This is just as valid a method of collecting work, especially in the case of a writer like Ford—one who is capable of writing fantastic fiction across a wider spectrum. As a result, the contents of the collection encompass a wide variety of styles. Some, like the vampire tale, “Sit the Dead”, take a unique approach to tired subject matter, weaving in a deliciously dry sense of humour. Others like “Dr. Lash Remembers” are steampunk-for-steampunk-haters. Then there’s “Glass Eels”, a bizarre noir crime story about two schlubs trying to make their big score. Ford runs the gamut of locations, styles, and topics. There may be something for everyone, which is unsurprising considering Ford’s place as one of our top fantasists. 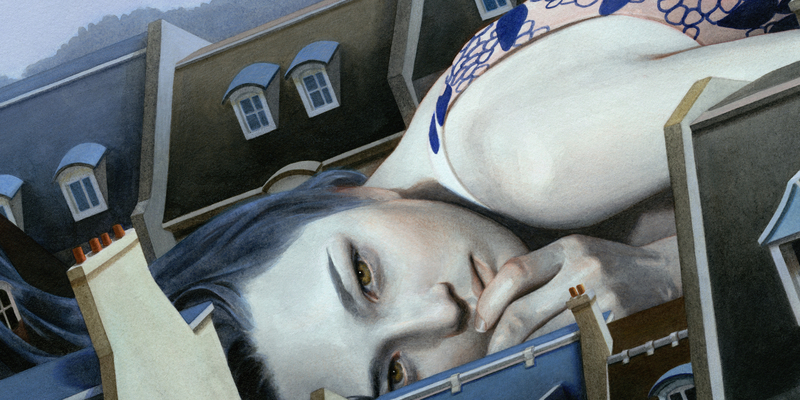 CRACKPOT PALACE won the 2013 Shirley Jackson Award for Best Collection, and for good reason. Showcase collections can become dilute and unwieldy without a strong voice to guide them. Rest assured, Ford has that voice, and the results are as fascinating as they are mesmerizing.